Episode 138 - More NYCC with Greg Pak, Stephen Lindsay & Lauren Monardo, and The Vampire Cowboys Theatre Company! Comic News Insider: Episode 138 is now available for free download! Click on the link or get it through iTunes! Sponsored by Dynamic Forces. More NYCC and it's not as boring as a mud fence! We finish up our NYCC interviews with Stephen Lindsay & Lauren Monardo (Jesus Hates Zombies, The Slightly Askew Adventures of Inspector Ham & Eggs), the Vampire Cowboys Theatre Company and Greg Pak (The Incredible Herc). We get a mention in a UK magazine, discuss the comedy gold that is Paula Dean and PROJECT HAIRCUT! videos are now available. Jimmy discusses his upcoming visit to Bristol Con and what he expects upon arrival. News includes The Hobbit films, Bleach, Carrie Fisher sexing up with Harrison Ford, GTA IV, and Free Comic Book Day. Also, we cover the tragic robbery/shooting of comic shop owner, David Pirkola. He is in stable condition, but in need of your help. iFanboy has created a donation page to help pay for medical expenses and keep the store afloat. Please donate what you can in the link. CNI One-Shot! : The Venture Bros.
CNI One-Shot: The Venture Bros. is now available for free download! Click on the link or get it through iTunes! Sponsored by Dynamic Forces. It's another special CNI One-Shot for your Saturday listening pleasure. And a special one at that full of Venture Bros. goodness! Creators of the hit animated series, Jackson Publick and Doc Hammer, join us to discuss the upcoming season 3. Voice actor on the show, James Urbaniak (Dr. Venture, Phantom Limb), also swings by to give us some Dr. Venturely words of wisdom. If you missed our New York Comic-Con recap, go back to Episode 137 now! We'll wait. Comic News Insider: Episode 137 is now available for free download! Click on the link or get it through iTunes! Sponsored by Dynamic Forces. Over 64,000 attended the show and we cover it all. Well, not all of it, but a good chunk. 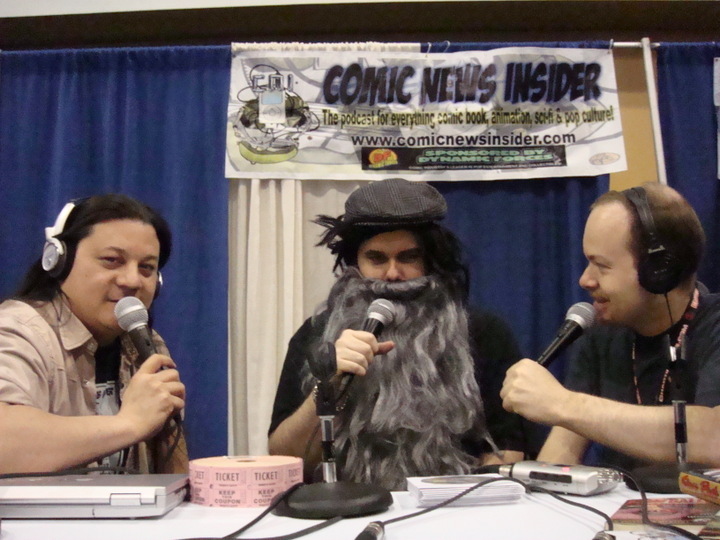 Great interviews, amazing raffle, PROJECT HAIRCUT!, The Great Podcasting Dinner of NYCC 08, and more! We talk about some of the big news to break at NYCC including Marvel Apes, Power Girl ongoing, Iron Man/Hulk movie crossover and Virgin Comics party policies. We have a lengthy discussion recapping each day of the con. As mentioned, interviews galore! So many that we had to split them into 3 shows. That's right, folks! This episode, "Alan Moore" returns and sits with us at our booth to discuss some more projects he's working on. A special surprise visit by Mike Norton occurs during the interview and a possible future collaboration is made. 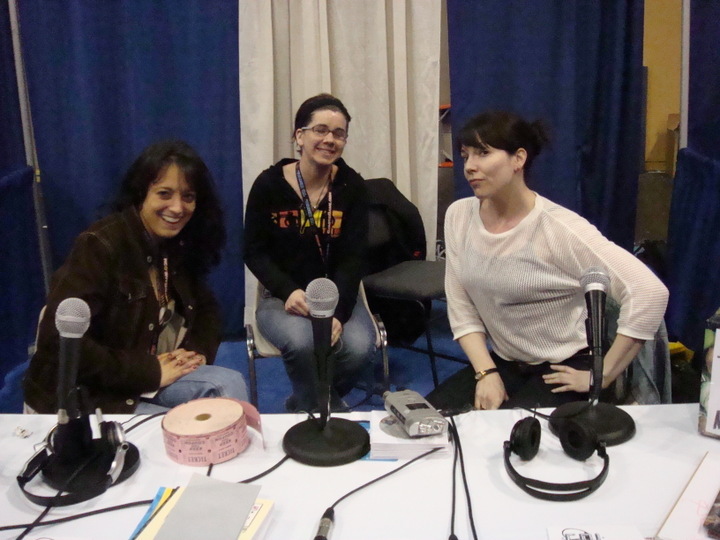 Sunday was a bit tamer, so I sat with the lovely CNI girls and booth helpers, Carrie Tucker, Kristin G and Colleen McAllister, to get their thoughts on the show. 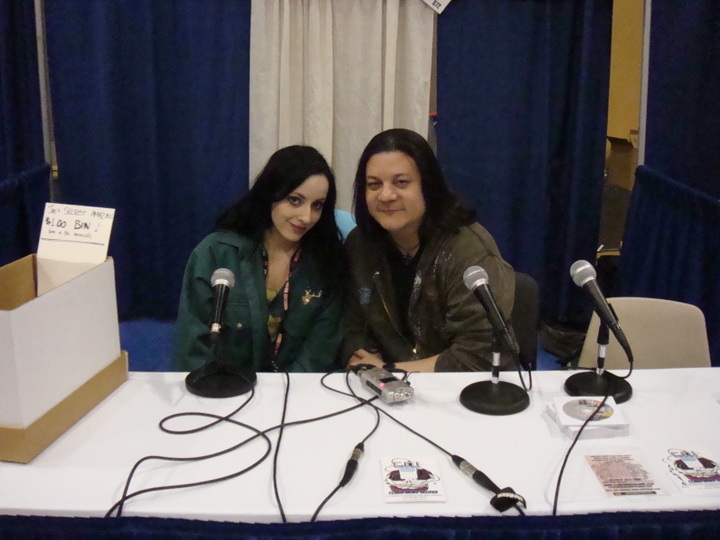 Also, Jimmy has a dream interview with the amazingly beautiful and talented Molly Crabapple. What about the other interviews you ask? Well, tune in this Saturday, April 26th, for a special CNI One-Shot: The Venture Bros. That's right! Jackson Publick and Doc Hammer, the creators of the acclaimed animated series The Venture Bros., joined us to discuss the upcoming season 3. Also, James Urbaniak (voice of Dr. Venture and Phantom Limb) stops by to discuss his work on the show as well. Tune in next week for more interviews from Greg Pak (Incredible Herc), Stephen Lindsay and Lauren Monardo (Jesus Hates Zombies) and The Vampire Cowboys Theater Company. Comic News Insider: Episode 136 is now available for free download! Click on the link or get it through iTunes! Sponsored by Dynamic Forces. The Birds of Geek invade the studio and try to take over the show! Amy (UK) and Denise (NYC) join us to discuss everything from Jimmy's new XBox 360 to the chaotic planning for New York Comic-Con and the finale of Rock of Love. News includes Friends of Lulu, The Beat looks for interns, Marvel on Deal Or No Deal, Watchmen, Eisners and more! 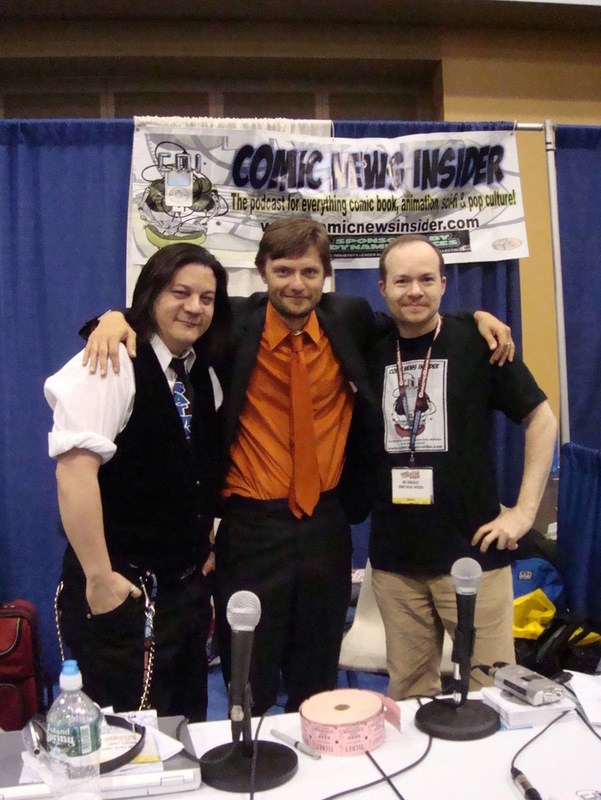 Speaking of New York Comic-Con...CNI will have signings, interviews, the charity raffle and PROJECT HAIRCUT!. Yep. Jimmy is cutting his hair live at the show! The hair will be donated to Locks of Love and we'll be collecting donations. You can send donations via PayPal. Enter Jimmy's email address: jimmyaquinox69@gmail.com and send millions! Half of the funds raised will go to Locks of Love and the other half will help cover costs here at CNI. On Saturday, we will have tons of Venture Bros. goodness! Interviews with creators Doc Hammer and Jackson Publick. And, voice over artist James Urbaniak (Dr. Venture, Phantom Limb, etc. joins us as well! Saturday night is the big dinner at John's Pizza! $29 for all you can eat pizza, salad, soda, tax and tip! If you want to attend, please email us by Friday at Noon. No later! Sunday, Jimmy will be flying solo but will be joined by Greg Pak (Incredible Hulk) again this year for a signing and interview. Swing by the CNI booth in the podcast arena and say hi! Buy a raffle ticket and win prizes! See the haircut! Meet "Alan Moore" and Unemployed Skeletor! Episode 135 - The Top 3 Show! Comic News Insider: Episode 135 is now available for free download! Click on the link or get it through iTunes! Sponsored by Dynamic Forces. Joe's in a hurry after returning late from a business trip and Jimmy has to get back to playing his new XBox 360, so it's our special Top 3 show! 3 reviews, 3 news items, 3 listeners with feedback, and, of course, the Top 3! We talk Charlton Heston, new Venture Bros., Wall Street Journal and Batman, why Venezuela hates The Simpsons and more! 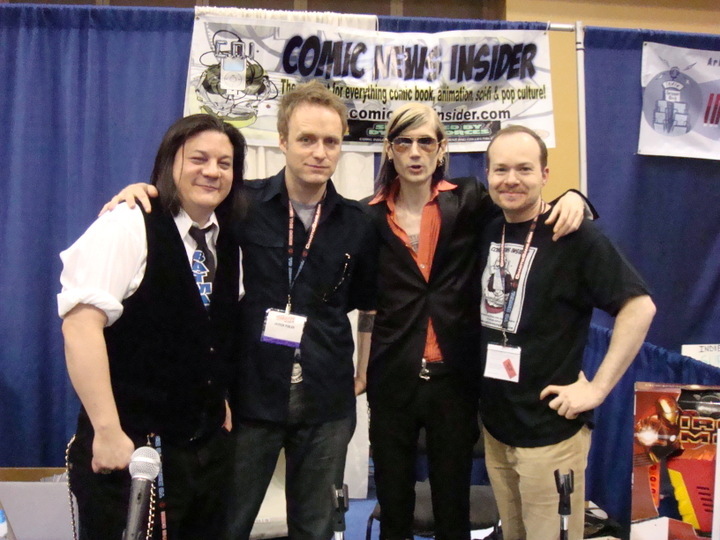 Speaking of New York Comic-Con...CNI will have signings, interviews, the charity raffle and PROJECT HAIRCUT!. Yep. Jimmy is cutting his hair live at the show! The hair will be donated to Locks of Love and we'll be collecting donations. You can send donations via PayPal. Enter Jimmy's email address: jimmyaquinox69@gmail.com and send millions! Half of the funds raised will go to Locks of Love and the other half will help cover costs here at CNI. The second annual CNI raffle returns to NYCC! This year we are partnered with Comics in the Classroom. Comics in the Classroom.NET is striving to become the place where teachers, parents, students and comic fans of every age can find the latest news and resources focusing on all-ages comic book content. . Its purpose is to give other teachers, parents and librarians ideas for using comics for both the eager and reluctant readers in their lives. It features lesson plans and worksheets and links to free resources appropriate for classroom use along with the reviews of the latest titles for young and not-so-young readers alike. We are building up some great prizes to raffle off. Make sure you stop by our table and pick up your raffle tickets for a chance to win. Raffle tickets are only $1.00 each or 6 for $5.00! Episode 134 - Alan Moore Returns! Comic News Insider: Episode 134 is now available for free download! Click on the link or get it through iTunes! Sponsored by Dynamic Forces. We chat about some big stuff! Jimmy engaged? Joe Q. is marvel boy? Tune in to find out! News includes the Siegels winning Superman, NYC=Gotham City, MyCup o' Joe, MySpace comics, Fun Home in Utah and more. And, it's a great honor to welcome back Mr. "Alan Moore". He first appeared on CNI 100 back in August 2007. He breaks the news on 2 exciting new projects with both DC and Marvel! And promises that he may make an appearance at a certain podcast's table at NYCC! Oh, and next week's show is up in the air. We might record late. And...the contest we announced last week. Oops, forgot to mention it in the show this week. But, that's mostly because we realized how late it was and that most people probably already have their tickets. So, basically, unless we get a slew of entries in the next week, we'll just have to plan early for next year! As always, we end with a great Top 3. And remind you to go leave your iTunes comments! 5 stars and nothing but love! Also, get a hold of us!